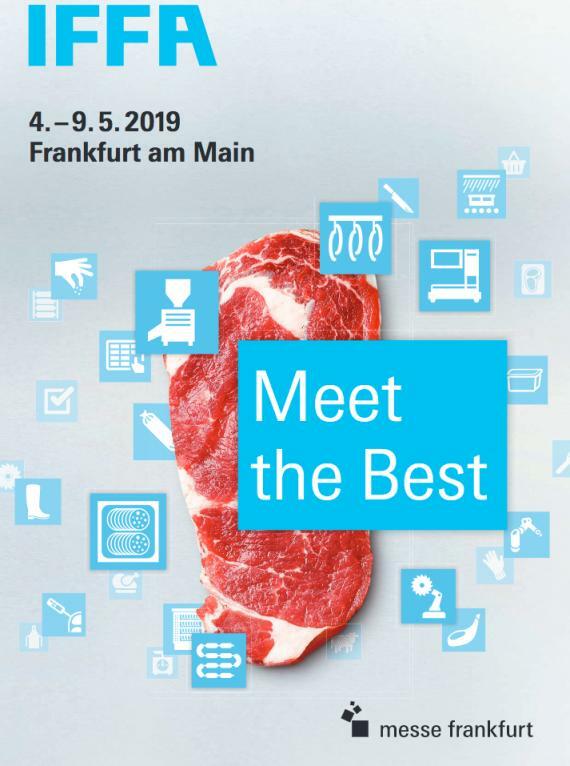 Come and discover EMSENS neting machine, skewering machines or bacon dicing machines during this international meat industry fair. 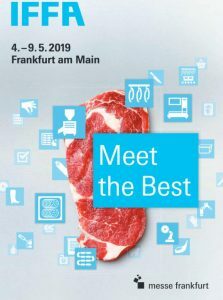 Emsens will exhibit at IFFA Frankfurt 2019 (hall8 stand A69). There, we will present you our machine MF01 which enables to put an elastic net automatically around a piece of meat. It is a revolution: the machine cuts a piece of net according to the length you defined and then it puts this net carefully around the roast. Second, transfer of the tube toward the piece of meat. This meat has been dropped off beforehand by a machine operator. Third, discharge of the netted meat through a conveyor belt. PRODUCTIVITY: The pace depends on the length of the meat, however we can produce until 700 units/hour. In order to match with the specific requests and needs of our clients, we designed a brand-new machine. Ergonomic, easy to use and optimized for the production of kebabs made with few ingredients, with or without marinade, type “satay”. Have you got any questions ? To better serve you enter your name and email address, you will be contacted as soon as possible. A created website by 32 Décembre.